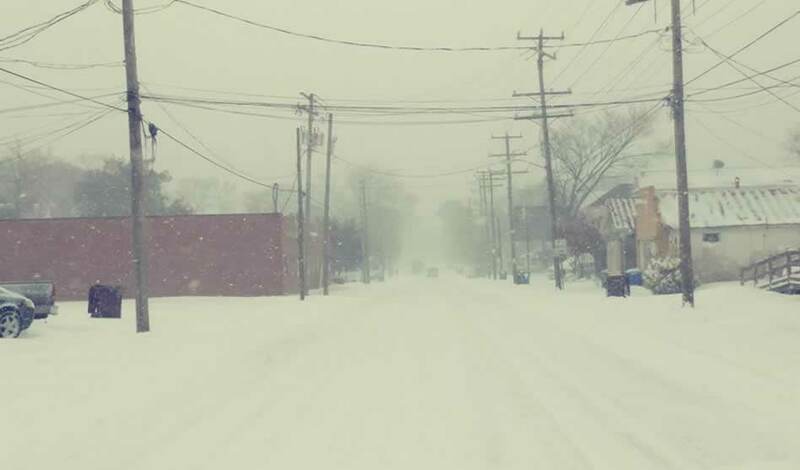 JAN. 9, 2018 – SOUTH NORFOLK, VA The January winds of change blew a literal blizzard into South Norfolk on Jan. 4, leaving the historic district, Portlock and all paths between buried under nearly 11 inches of snow. Auto and pedestrian traffic froze with the streets, closing schools and businesses. Change continued as snow piles melted today, but even the city isn’t sure if operations will resume tomorrow. Despite frigid temperatures and mounds of lingering snow, remodeling has begun in earnest at the McDonald’s of South Norfolk, 1401 22nd St. Here, workers are pictured working in 20 degrees on Jan. 6, a Saturday. Meanwhile, over on Poindexter Street, the old pharmacy (or pawn shop, depending on your age), is gone. 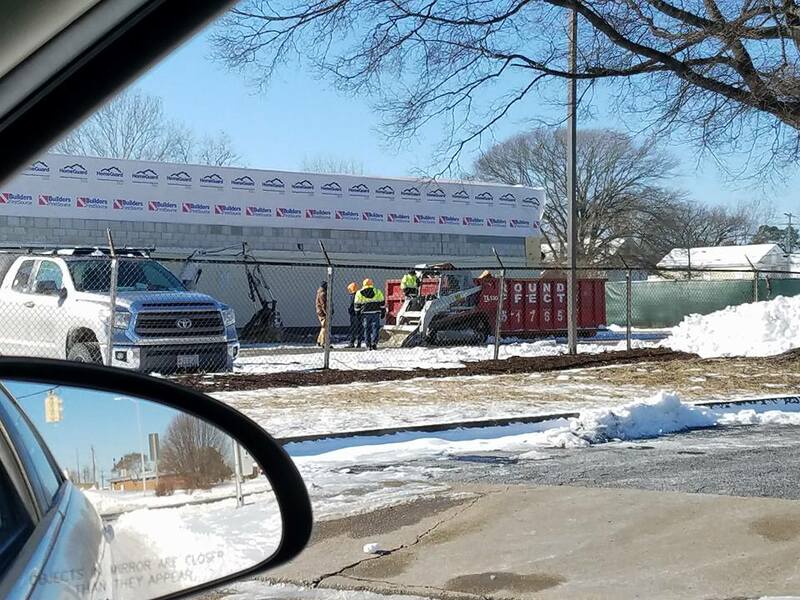 The End Zone bar, and what was left of Overton’s grocery was also razed to the ground. This building at B Street and Poindexter has been torn down, along with the old bar and the remains of Overton’s Grocery. The Overton family still owns the property and has not announced what they plan to do next with the land. Photo by Vicki Ford. 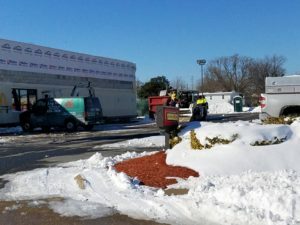 As the snow plows finally got around to plowing some of South Norfolk’s side streets, city officials are not sure when operations will return to order. A warming trend predicted for later in the week. Later in January, ForKids is expected to plant a “coming soon” sign on their property at the site of the old public library on Poindexter. Also this month, construction on the new 22nd Street Bridge is scheduled to begin, though the weather has not been cooperating so far this month. This is the plan for the new 22nd Street Bridge alignment, which will re-route the bridge to flow directly into Poindexter. Photo credits: Nathan Wilson took the featured shot at the top of this page. 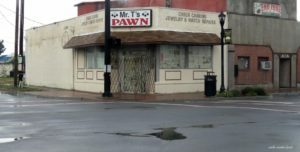 Vicki Ford took the photo of the pawn shop at Poindexter and B Street. Dan Loonam took the shots of McDonald’s and video of the demolition on Poindexter. 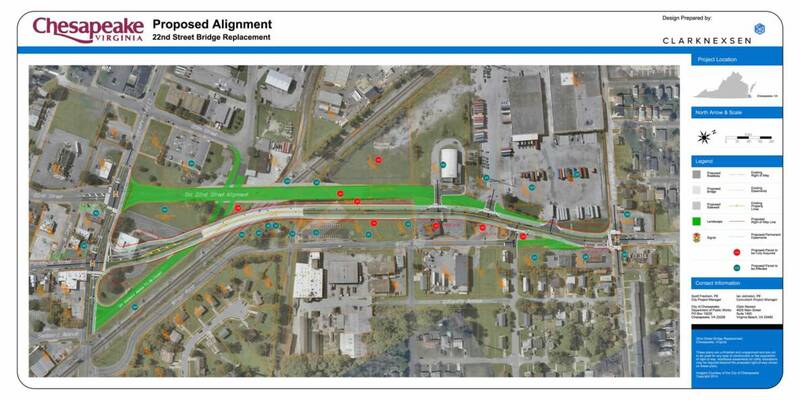 The 22nd Street Bridge plan came from the city’s website page on the project.